This recognition is awarded to the "Most Complete Player" of the Howe Sound Tournament in each of the AA, AAA and AAAA divisions. The Howe Sounds (www.howesoundbball.com) bring together all boys teams from the North Shore in February each year to decide which team or, from time to time, teams will advance to the provincial tournament in March. Records for the tournament date back to the late 1950s. In 2007 the Quinn Keast Foundation established a scholarship to be awarded to the player who best exemplifies dedication to the success of his team and the desire to become a "Complete Player". As Handsworth Senior Boys coach Cam Mowat puts it, Josh is dedicated to "team success-evident by his unwavering commitment to being the most intense player on defence and his relentless pursuit of offensive rebounds and loose balls." Cam relied on Josh for his intensity on the floor and his toughness when attacking the rim, but also noted Josh's respectful and encouraging nature both on and off the floor. Mitch is Carson Grahams hardest and most consistent worker on the floor. He is extremely coachable and has taken on a leadership role within the team and within the community. Mitch is in the IB Program at Carson Graham, adding to his rigorous schedule. Stefan's coach at Sentinel, Ransford Brempong, says that Steph is a "team-first" athlete who is always looking at how he can help his teammates be better. Off the court, Steph is a "gold standard" student. On the court, he is the leading rebounder with 9 per game, and averages 12 points per game. Michael is the type of player who is consistently asked to guard the opponent's best player. Although he is the leading scorer on his team, it's his ability to get his teammates involves that makes him special. Off the court, Michael has mentored younger basketball players and has won the Citizenship Award twice at STA. He is a leader both on the court and off the court. Bryce McLean is one of the most committed players that coach Cam Mowat has ever coached. Always the first one in the gym and the last one to leave (even in off-season!) Bryce leads his teammates by example at both ends of the floor, and off the court as well. No matter how tired Bryce his, his coach can rely on him to give 40 minutes each game and give everything he has. Although Bryce isn’t the most vocal leader, his team can count on him to motivate those around him. His teammates look up to him on the court. Bryce is the first one to encourage his teammates when they are down and holds himself and others accountable. Bryce is a clear leader and captain of the Handsworth Senior Boys team and is consistently the most dedicated and hardest working player on the floor. Davey has captained his team this year and led by example in many ways- he is the player that every coach wants on their team. He is athletic, energetic and hard-working and is committed to the game of basketball, playing on several travelling teams, playing for Seycove’s Basketball Academy and coaching with 3 Point Basketball, the Steve Nash League, and currently with the Seycove Junior Boys Basketball Team. Davey’s efforts have been recognized by the North Shore School Athletic Association as a first team all-start in his grade 12 year and last year as a second team all-star. 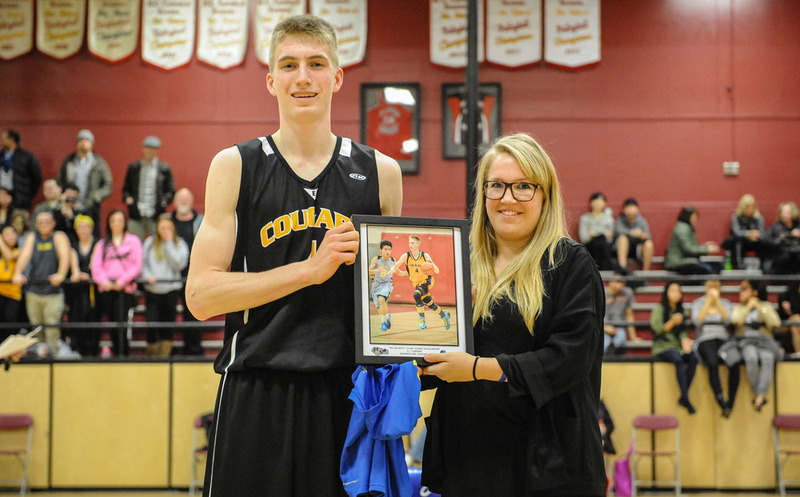 Further, he was named to the 2015 Howe Sound Championships all-star team. Like many of our candidates, Davey is typically asked to guard the opponent’s best player. He is a fierce defender as well as leader of rebounds on his team. Not only athletic on the court, Davey plays soccer, baseball and rugby. At Seycove, Davey has been recognized as the Top Male Athlete for the last five years. While keeping busy with athletics, Davey is able to maintain a 90% average in class, earning him Honour Roll with Distinction since grade 8. Liam's relentless work ethic and determination to be the best he can be are what stands out for his coach, Greg Meldrum, who says "Liam's defensive intensity on the court gives us a spark and he takes great pride in guarding the opponent's best players." He has also participated in the Premier Basketball Academy's Regional Training Centre for the past two years. Off the court, Liam is a community coach and "genuinely loves giving back to the game." He has maintained a high level of achievement in the classroom at West Van Secondary. Not only has Brandon participated in the game of basketball as a player, but also as a coach, referee and mentor. 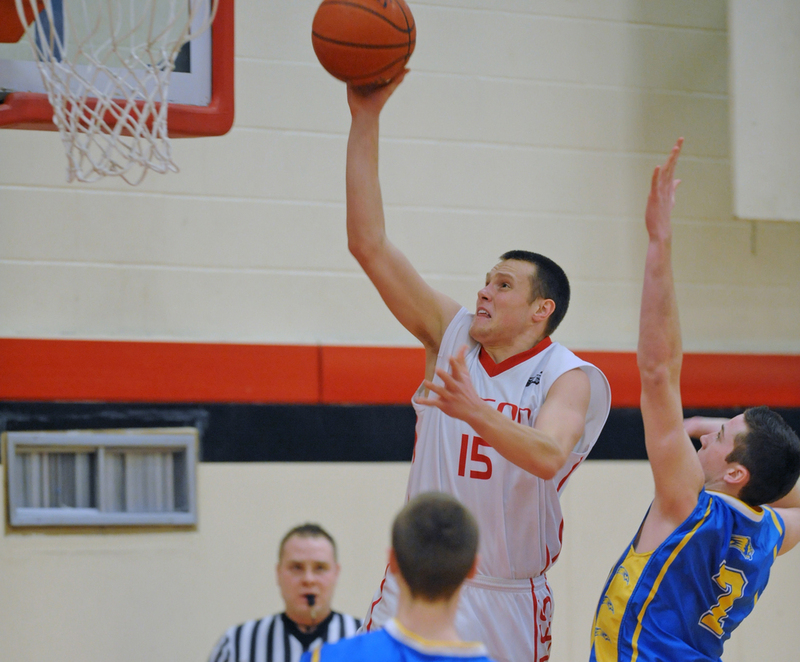 As a player, Brandon came back from an injury in his grade 11 year and has led the team in points, rebounds and blocks. As a coach, Brandon helps out with the Steve Nash Youth Basketball (SNYB) league, and, for the past four years, has assisted in coaching teams from grades 4 to 7. Not only has he coached for the SNYB league, but also for Dan Miscisco's Basketball Camps, Seymour's Basketball Preseason Camp and Windsor's Grade 8 Boys Spring League team. Last year, Brandon also helped coach at Buddy Up, a program that partners high school athletes with elementary schools students, offering free basketball clinics. Finally, as a referee, Brandon has worked for the SNYB league for the past three years and has also volunteered with the Special Olympics March Madness Basketball Tournament. 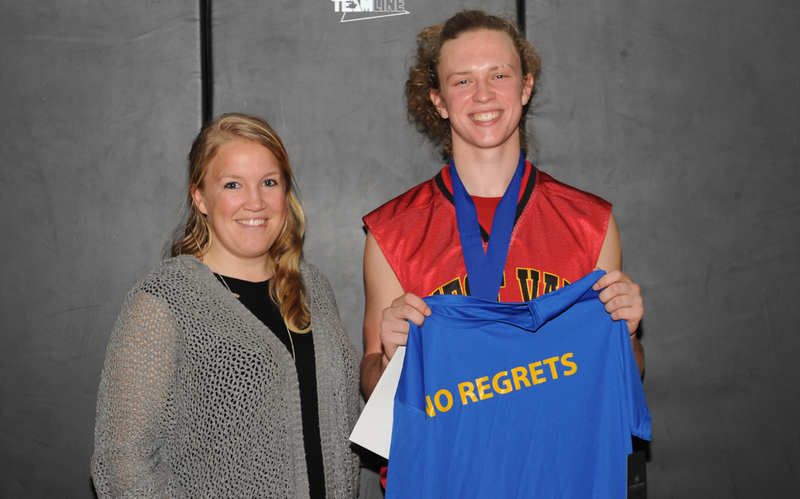 Outside of basketball, Brandon has received Honour Roll and Honourable Mention on numerous occasions. In addition, Brandon plays three musical instruments in three school bands, received a Leadership Award last year, and is a multi-sport athlete, competing in Ultimate Frisbee and Trampoline. 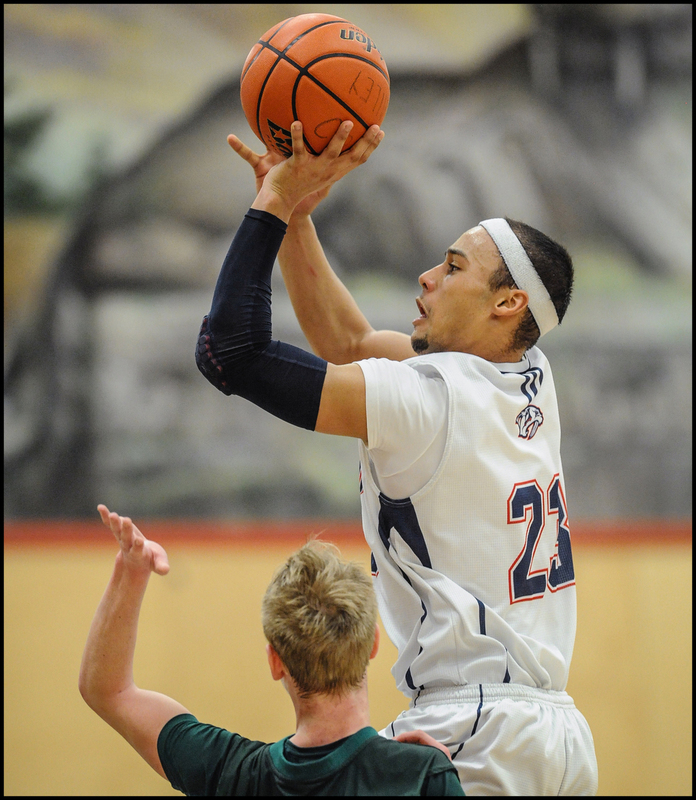 On the court, TJ has represented British Columbia on Provincial teams and is currently averaging over 20 points per game. His coach describes TJ as "demonstrating an excellent work ethic and determination to succeed," something that is evident as he dominates the floor for his team. TJ is consistently asked to guard the opposition's best player, and does so willingly. He is the kind of player who shows up early in the morning to shoot, stays late after practice, and is always wanting to get better- something that Quinn dedicated himself to. TJ is a natural leader not only on the court, but off the court as well. TJ has helped out with the Leadership Class food drives, fundraisers and coaching the Grade 8 Bantam boy's team. TJ's teacher says he "leads by example by always doing his best and encouraging others to be the best they can be too." Graddy has amazing athletic ability on the court which is evident as he leads his team in rebounding and steals. He can play everything from point guard to post and is a consistent player in all five positions on the floor. Off the court, Graddy is a solid student and outstanding school citizen, organzing the scorer's table for both volleyball and basketball seasons at Sutherland. Mitchell’s has always been a fierce competitor but also a good sportsman. He has stepped up and diversified his game, becoming an all-around player. He guards the opponent’s best wing player and can guard in the post as well. Mitchell creates a positive team atmosphere, demonstrating that he is mature beyond his years. Outside of the Senior Boys team, Mitchell coaches two basketball teams at Sutherland, providing the younger players with a great role model. Athletes want to play for Mitchell, and more importantly, they enjoy playing for him. “He is creating an atmosphere where athletes want to come back the following year because of their positive experience,” says Daniel Huzar of Sutherland Secondary. Kevin Arkoncel from Carson Graham is this year's QKF recipient of the Howe Sound AAA Championship scholarship. He exemplifies what a student-athlete should be! Kevin led all scorers on the North Shore averaging 19.8 ppg in league play along with 5 assists. Kevin has displayed tremendous heart and effort throughout his career at Carson Graham. He has been as committed on the floor as he has off. Since 8th grade, Kevin was the Eagles hardest working player in the off-season and that continued right through his senior season. 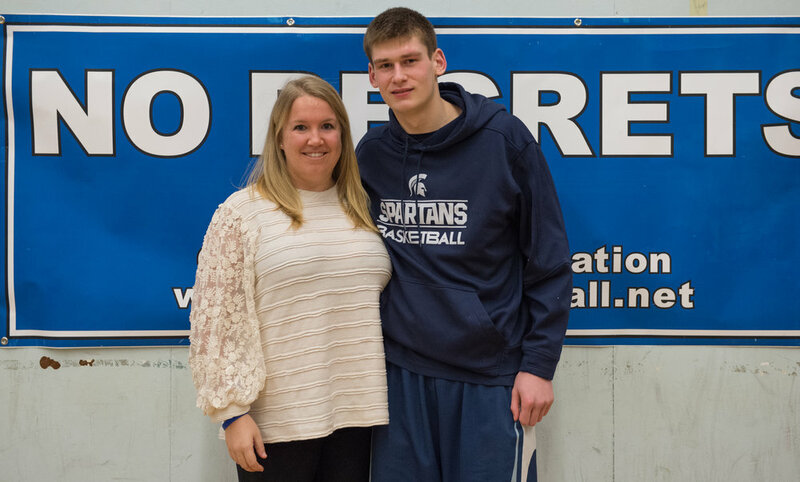 Kevin was a 2010 Howe Sound All-Star and NSSSAA All-Star in 2010 and 2011. He was also very committed off the floor as he was very active in the community, volunteering numerous hours to the school and other community based organizations. The award could not have been given to a more deserving young man. Breaking with tradition, the 2009 Quinn Keast Scholarship at the Howe Sound Championship was awarded to two very deserving student athletes. Ryan Wheeler completed his five year career as a member of the Handsworth Royals at this year's Howe Sounds. Ryan had a tremendous tournament, he played with the energy and passion that has become his trademark in his years at Handsworth. Kyle Grundy, the captain of the tournament champion Carson Graham Eagles played an impressive tournament that led to being named the 2009 Howe Sound MVP. Kyle was a leader of the Eagles both on and off the floor and Kyle will lead the Eagles on to the AAA Boys Provincials at the Agridome later this month. 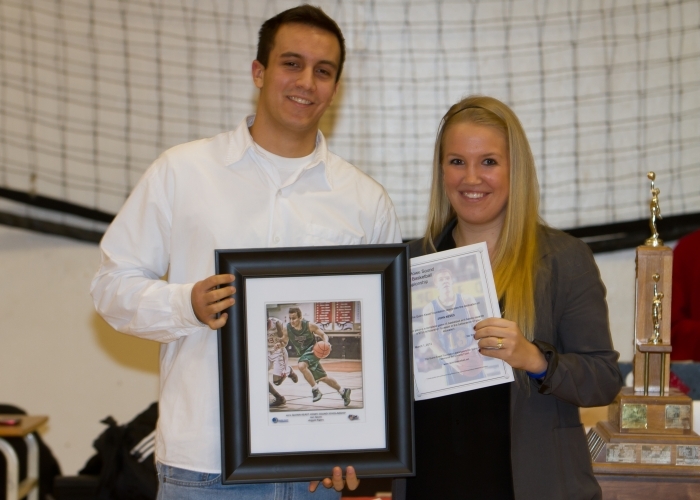 The 2008 Quinn Keast Scholarship at the Howe Sound Championship was awarded to Mike Zayonc of the Argyle Pipers. 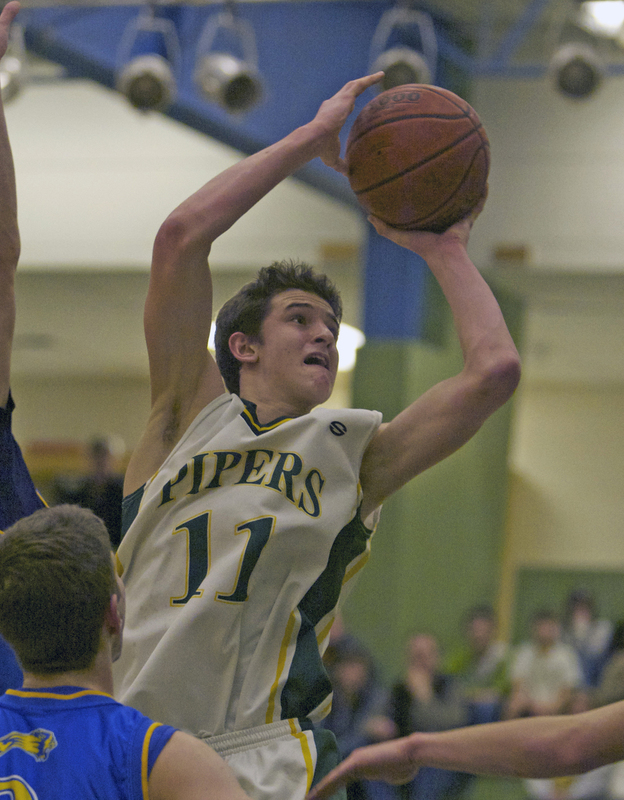 Mike was the heart and soul of the Pipers over the course of the season, leading them in both scoring and rebounding. In the Howe Sound tournament Mike continued to lead the Pipers until he suffered a severely sprained ankle midway through the second game against Handsworth. With the ankle heavily taped he attempted to play in the sudden death final but it was not to be. Mike was the second consecutive winner of the Quinn Keast Award from Argyle Secondary. 2007 marked the first year that the Quinn Keast Scholarship was awarded at the Howe Sound Championship and Mac Fairbairn was a very worthy recipient. Mac was a captain of the Pipers and a three year varsity player at Argyle. Mac played all year with intensity and passion, he recognized the importance of every possession and was a leader on the court.